It is anticipated that the new European Union Clinical Trials Directive, will be a major improvement over the previous Directive 2001/20/EC. It redefines the basic regulatory framework covering clinical trials performed anywhere within the European Union (EU). One can expect the new clinical trials legislation, which was adopted on April 16, 2014, comes into full force in October 2018, following the development and launch of the EU Clinical Trial Portal and Database. Before we fully understand what improvements the new EU regulation will bring into play, first we need to understand what the challenges of the EU Directive were. EU Directive 2001/20/EC worked to simplify and harmonize the administrative provisions governing clinical trials. It became, and remains, an amazing attempt but many hold the opinion that the full benefits of the directive haven’t been realized, primarily due to the “enormous” variations in local implementation. Due to the challenges presented by the Directive 2001/20/EU CE to perform a clinical trial in several member states simultaneously, the European Parliament and the Council of the European Union enacted new EU Clinical Trial Regulation No. 536/2014 to encourage sponsors to conduct trials across all the member states. With the creation of this new regulation, the government bodies’ intention is to create an environment favorable to conducting clinical trials within the EU, with the highest standards of safety for participants. It also establishes new rules on how to perform and conduct clinical trials that should be consistent throughout the EU. The European Union Clinical Trials Directive will totally transform the level of information openly available for each clinical trial by demanding transparency on the authorization, conduct, and results of any trial. This will increase the efficiency of all trials in Europe, with the greatest benefit for those conducted in several member states (making the EU more attractive for clinical trial research, reversing the decrease in the number of clinical trials conducted across the continent). It aims to encourage innovation and research, avoiding unnecessary duplication of clinical trials or repetition of unsuccessful trials. This will guarantee that the rules for conducting clinical trials throughout the EU are identical, ensuring that all the member states, base themselves on identical rules, when authorizing and supervising the conduct of a clinical trial. By harmonizing these requirements, submissions have been simplified from what might have been a total of 28 submissions to just one! However, certain aspects will not be covered by the regulation and will remain country specific, such as ethical considerations, legal representation, site requirements and some administrative procedures. If trial data from the U.S. is to be considered for the EU marketing application, then it must be registered prior to start, rather than within 21 days after recruitment start as typically required in the U.S. The original objectives of revising this legislation included the reduction of unnecessary administrative burden without compromising standards and improving the attractiveness of Europe as a location for clinical research. 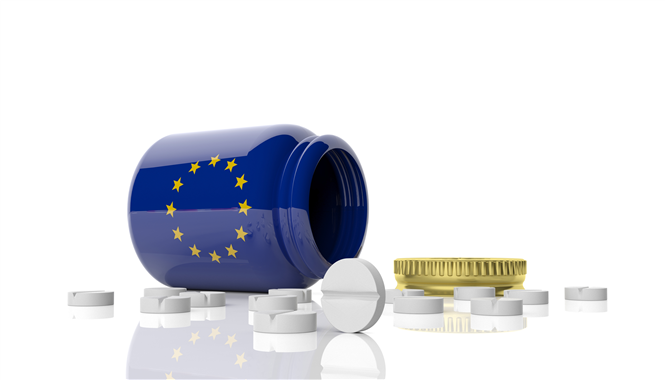 The new 536/2014 Regulation “symbolizes” changes that are being welcomed by pharmaceutical companies in the EU, and seems to have been elaborated with special consideration towards them. It eases the expenses related to carrying out a clinical trial, particularly in multiple member states. As such, the regulation reduces the required paperwork, staff, and fees, and concurrently, simplifies the authorization process. All things considered, simpler guidelines, increased cost-effectiveness, and easier access to the European population will probably make the EU more attractive for companies seeking to perform large studies. This change could possibly reverse the recent tendency of pharmaceutical companies to turn to developing countries with large populations. This is with the ultimate goal of protecting and improving patient safety. Finally, one can expect a benefit not only for sponsors in general, but also for the scientific community and the general population, thanks to the increased transparency provided by the new Regulation.